Congratulations to the team at Cartoon Saloon, who has once again produced an Academy Award® nominated film! This year, their film, The Breadwinner, has been nominated for Best Animated Feature Film. 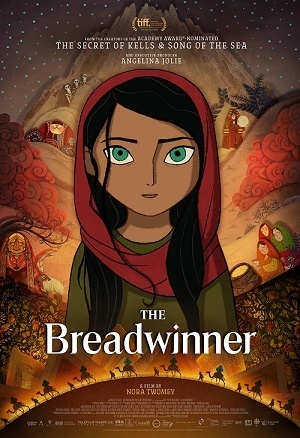 Based on the bestselling novel by Deborah Ellis, The Breadwinner tells the story of 11-year-old Parvana who gives up her identity to provide for her family and try to save her father's life. Watch the trailer and decide for yourself. This isn’t the first time Cartoon Saloon was nominated for an Academy Award® or has used Moho for a part of their film production. Read about their Oscar® nominated film Song of the Sea. Congratulations again to Cartoon Saloon and good luck to The Breadwinner on March 4! OSCAR® and Academy Award® are registered trademarks of the Academy of Motion Picture Arts and Sciences.